Copperplate etching, hand-colored with watercolor. International award-winning etching. 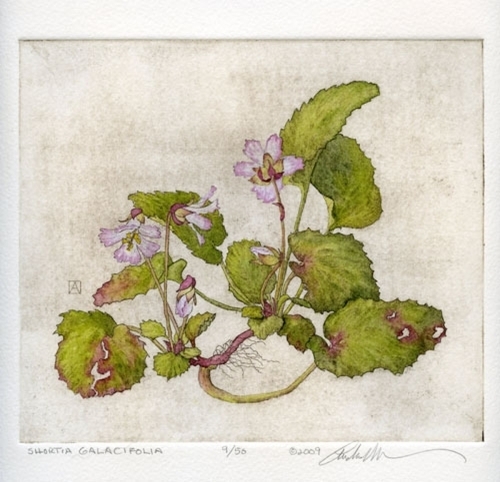 Received Drawing & Printmaking Award at the 13th Annual International American Society of Botanical Artists & The Horticultural Society of New York Exhibition 2011. PLATE CANCELLED. ALL PRINTS HAVE BEEN SOLD.